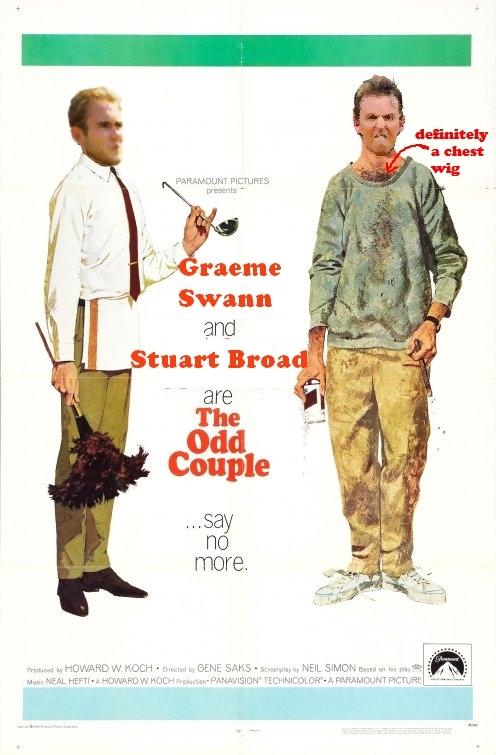 “Dinner Monday night partner, your place or mine?” tweets Stuart Broad to Graeme Swann. A bit of an odd couple… but which is which? 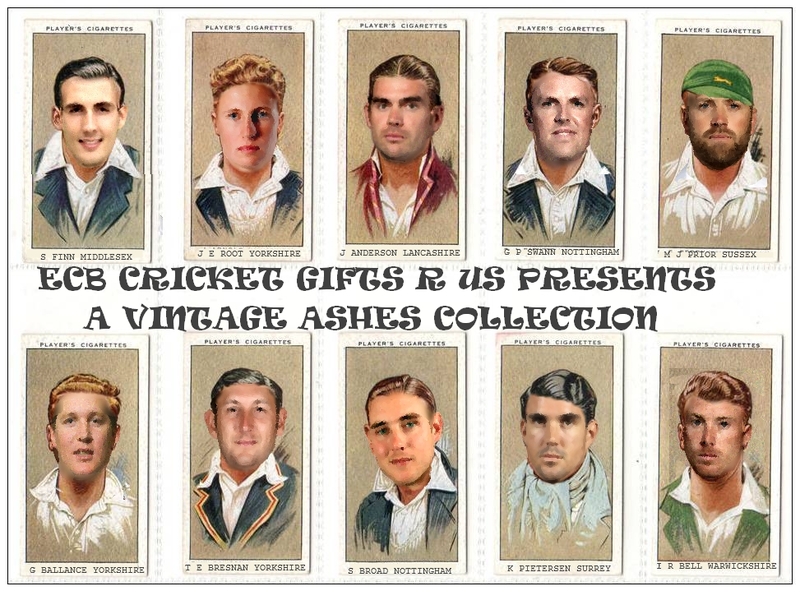 I see first issue of Ashes memorabilia is out – will have to take up smoking to collect these beauties! “James Anderson is looking more and more like Karl Pilkington. 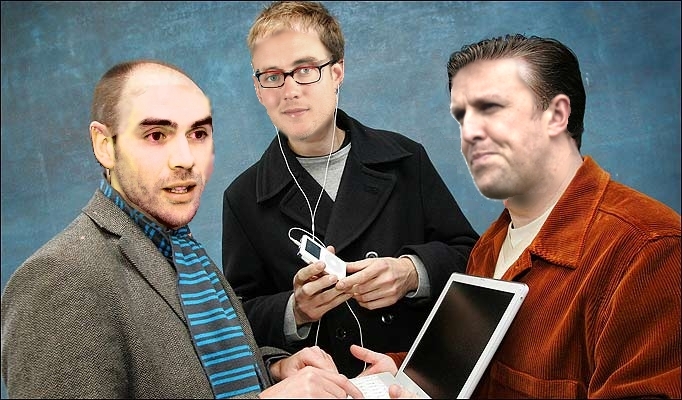 … This probably makes Graeme Swann Ricky Gervais.” tweets Dan Brigham of the Cricketer mag. 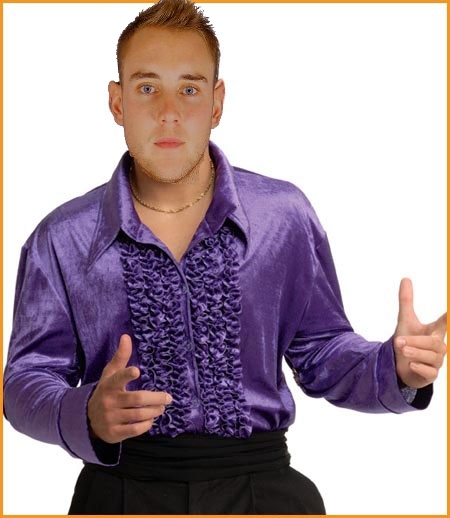 And Stuart Broad as Stephen Marchant? 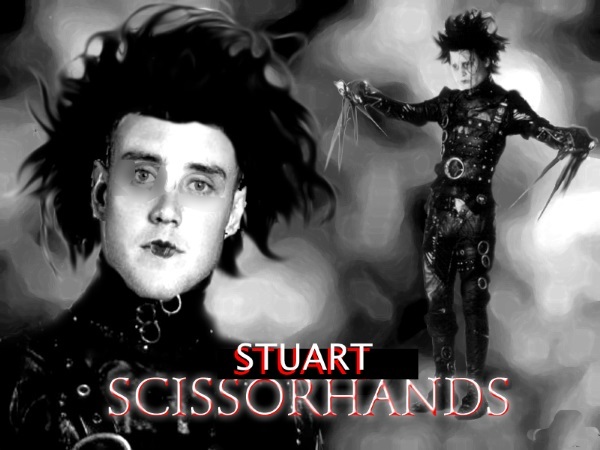 Stuart Broad tweets a festive glass raising pic and Pam Nash s spots a hair raising looky likey… “@StuartBroad8 Happy New Year, Jedward! Was the hair done for a bet? ;)” she tweets merrily….